The Belgian photographer Koen Adriaenssens has created a DVD with beautiful pictures from the Championship meet in Coimbra. Almost every swimmer is pictured on this DVD. The DVD is available for 30 Euro. This includes shipping and handling for countries within the European Union. For just 4 Euro more the DVD will be shipped to the rest of the world. 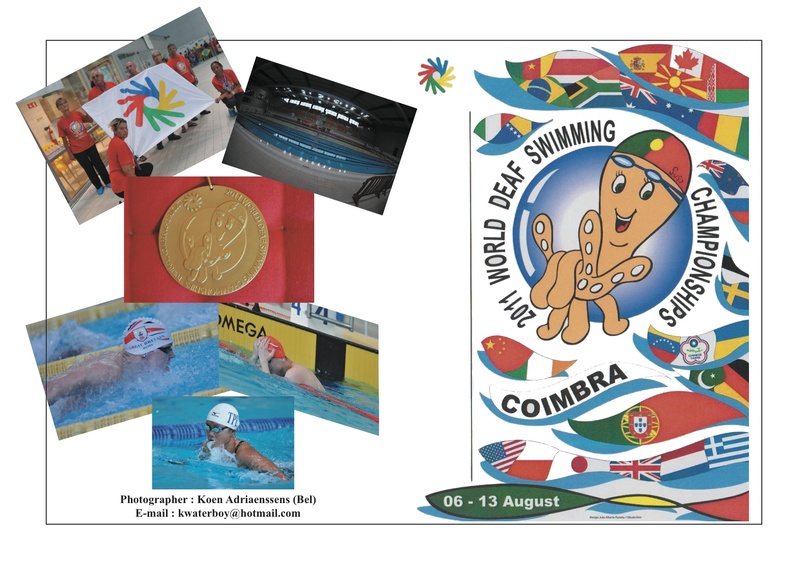 This is a great offer that will recreate the special moments of the World Deaf Swimming Championships 2011 over and over again. Enjoy the pictures for years to come!